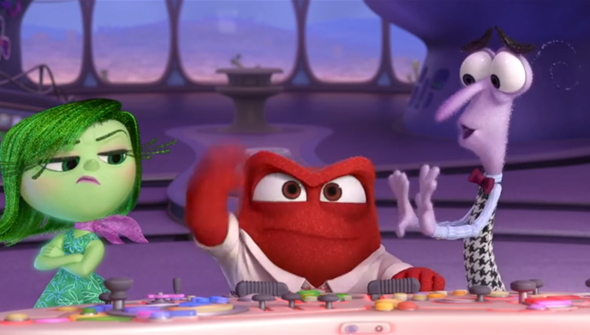 Home / awards / CP / news / Pixar / Golden Globes Names 'Inside Out' Best Animated Feature. Golden Globes Names 'Inside Out' Best Animated Feature. The 2016 awards season is now underway in earnest, as the first major event of the year took place with the Golden Globes taking place at the weekend. In the feature animation Pixar's double (Inside Out and The Good Dinosaur) was pitted against The Peanuts Movie, Shaun The Sheep and Anomalisa. Not unsurprisingly, Inside Out took the prize home. Pete Docter and Ronnie Del Carmen's film is a deserving winner without a doubt, although the result is, frankly, pretty predictable. The Hollywood Foreign Press Association is generally even less adventurous than the Oscars, having only given the Best Animated Feature gong to films produced by anyone other than Pixar or Disney on two occasions. It's not hard to imagine that this is an indicator of how the awards are likely to go this year. Last year the spoils were split between Big Hero 6, How To Train Your Dragon 2 and Song Of The Sea. Such is the universal acclaim that was heaped on what is seen by many as Pixar's return to form that it has to be considered the front-runer pretty much everywhere (although Anomalisa has already picked up a few indie awards). There's nothing wrong with that per se- we adore the film after all- but we'll always maintain it's nice for the smaller, lesser seen films to get recognition too, as it will only help more people discover them. Still, we're happy to see the film get all the praise it deserves. Congratulations to Docter, Del Carmen and all at Pixar!